3. Go on a family adventure this weekend! Maybe something like this? 6. Catch up on my fav podcasts in the car while boys are at school and I'm out running errands. I'm back to listening to the Simple Mom podcast and the Inspired to Action podcast. These are great! 7. Paint the frames for Austin's room. 9. Clean up front walk, trim bushes, weed the beds, etc. 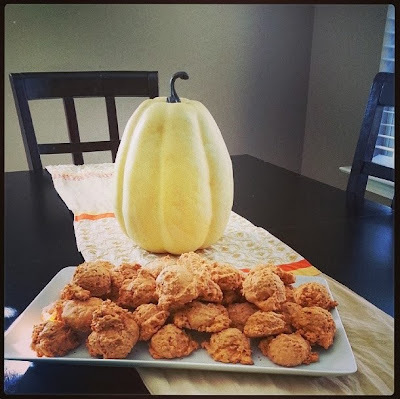 My Oatmeal Pumpkin Cookies and some of my fall decorations :) Most of these went into the freezer for later! So, what's going on at your House this week?